The Fluke Model 5820A Oscilloscope Calibrator is a precise instrument that calibrates analog and digital oscilloscopes. 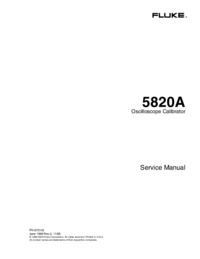 Features of the 5820A Calibrator include the following: • Automatic meter error calculation. • X and D keys that change the output value to pre-determined cardinal values for various functions. • Programmable entry limits that prevent invalid amounts from being entered. • Edge, Leveled Sine, Pulse, Marker, and Wave Generation modes. • Accurate oscilloscopic input impedance measurement. • Tunnel Diode Pulse compatibility. • DC Volt Measure Mode. • Current Mode generates both DC and low frequency ac current. • 1 ns to 500 ns pulse width capability with skew controlled trigger. • External reference. 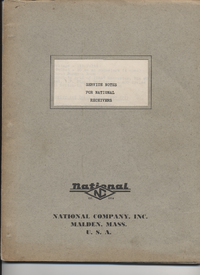 Auxiliary input. 5-channel output (5-Channel Option). The 5-Channel Option allows you to calibrate up to five Oscilloscope channels simultaneously without changing cables. Simultaneous output of a signal and a trigger signal. 600 MHz, Leveled Sine wave output. Optional 600 MHz - 2.1 GHz, Leveled Sine wave output with 150 ps fast edge. 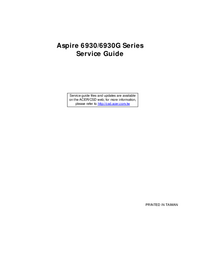 Standard IEEE-488 (GPIB) interface, complying with ANSI/IEEE Standards 488.1-1987 and 488.2-1987. EIA Standard RS-232-C serial data Interface for printing, displaying, or transferring internally stored calibration constants, and for remote control of the 5820A. Pass-through RS-232-C serial data Interface for communicating with the Unit Under Test (UUT). Extensive automatic internal self testing and diagnostics of analog and digital functions. 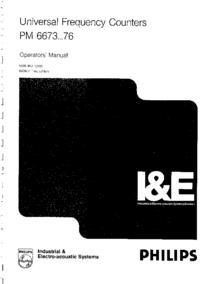 This 5820A Service Manual includes: product specifications, appropriate theory of operation, calibration and verification procedures, maintenance information, and options.